How do I get my website to show up on top of Google organic searches? Most business owners want their website to be listed at the top of Google searches. As we have outlined in another article, there are two ways to show up on search results: paid search (PPC) and organic search (SEO). 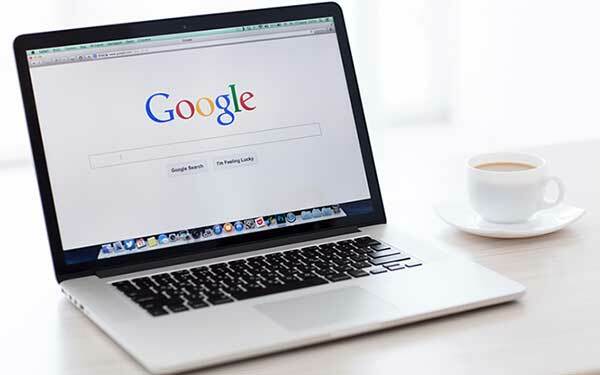 For this article, we will talk a little bit more about the basic elements that you as the business owner should pay attention to so your website gets the opportunity is be shown on of the first page of organic search results. Note that we're only highlighting the basic concepts of search engine optimization (SEO). There are at least 200 factors in Google's search ranking algorithm, and if you want more details, one great resource is Moz's The Beginner's Guide to SEO. Having the right set of keywords is one of the most important element in making sure your website is found by your prospects on search engines. Think about what keywords or keyphrases your customers will use when they search for your services. For example, if you offer wedding catering services, your prospects may do a search for "wedding caterers in Prince Edward County" or they may search for "wedding catering in Picton". However, if on your website, you primarily describe yourself as "Caterers for all events" and don't use the word "wedding" at all, your website may not show up for this couple looking for your services. One tip in trying to find out what keywords to target is to ask your customers, friends and neighbours what they will type in Google when they are searching for your services. You can also use a tool called Google's Keyword Planner. Once you know which set of keywords and phrases your website should be targeting for, you want to make sure your pages use them. In addition, you should use your keywords in a natural way. Remember that your website will be read by your prospects, not just the search engine bots, so you don't want to stuff your paragraphs with sentences like "We are wedding caterers in Prince Edward County that offers wedding catering to couples looking for wedding catering services for their wedding." Besides, search engines have improved significantly and can spot these tactics, so your website won't benefit from doing this. An element on your page where having the right keywords makes a big difference is in your page title tag. The title tag is a short phrase that succinctly describes what your page is about. Most human visitors won't see the title tags when viewing the webpage, so many website owners don't even bother changing this. However, updating your title tags with your primary keywords is one of the simplest change that could have a positive impact on your rankings. Note that search engines typically use title tags to display your listing on their search results, so you want to keep it short (about 50-75 characters) as the rest will simply be cut off. You also want to avoid having the same title tags on all your pages. In addition to title tags, you also want to use your keywords on heading tags, alt image tags, page URLs and your content. Search engines want to show the most relevant content to their users, so they are constantly improving their algorithm to show the most useful and relevant content for each search term. What this means is that you don't want to be trying to "trick" the computer algorithms by creating a web page that shows the right titles without having relevant content in the body. When users keep hitting the back button after clicking on the search result, search engines will eventually learn this and change their results. You want to create content that your prospects are looking for when requiring your services. If you've been in business for a while, you'll notice that your customers are always asking the same set of questions, so why not try to answer them on your website. You're not only helping your search engine ranking, you also get to show your expertise to potential customers. So far, we've mainly talked about "on-page SEO factors", which are elements on your web pages that influence search engine rankings. There are also "off-page SEO factors", and these are optimization techniques outside of your website. One way for search engines to know the popularity of your website is to look at how many other websites link back to your site. The more websites link to you, the higher the chances are that your website will show up at the top of search engine results. Note that SEO has also evolved over the years, so we're no longer just talking about the number of websites -- the quality of websites is more important. So what are high quality websites? They are websites that provide high-quality content -- for more on this, here is Google's quality guidelines. You'll soon discover that link building is a very time consuming process, but when done well, can be very effective at getting your website to the top of search results. For more on link building, you can read Moz's The Beginner's Guide to Link Building. As a local business, some websites that you can get links from include the Chamber of Commerce and the Better Business Bureau. Getting press coverage from the local newspaper *may* get you a link on their website, as well as sponsoring charity events where they list sponsors on their website. You can also claim or create your business profiles on directories and popular review sites. While these listings may not necessarily link to your website, the mention of your business name, address and phone number on other webpages (also referred to as "local citations") do factor into the search ranking algorithm. One tip to remember is to make sure your business information (i.e. name, address and phone number) is consistent across all listings. If you have moved and changed phone numbers, make an effort to update them.